Delta News & Review: Rock Band Cake Endorses Restore the Delta's Work! Rock Band Cake Endorses Restore the Delta's Work! "Having grown up and formed our band in Sacramento, CA, where the American and Sacramento Rivers meet, we have witnessed the slow destruction of once-thriving ecosystems and we know there needs to be grassroots commitment to making the Sacramento-San Joaquin Delta fishable, swimmable, drinkable, and farmable. Without this kind of advocacy we believe it is highly likely that California will lose forever this amazing natural resource," the group stated. The Sacramento region's most popular alternative rock band, the legendary Cake, today officially announced its support of Restore the Delta's campaign to protect the estuary from state and federal plans to divert more water. As a fan of Cake and its lead singer and songwriter, John McCrea, for years, I'm elated that the band is lending its name to the battle for the Delta's imperiled fisheries, farms and diverse communities! "Although we are only a rock band, CAKE is very concerned about the health of the largest estuary on the Pacific Coast of both North and South America — the Sacramento-San Joaquin Delta," the group stated on Restore the Delta's website. "We strongly support the advocacy and outreach work of Restore the Delta," Cake emphasized. "They are a coalition of Delta residents, business leaders, civic organizations, community groups, faith-based communities, union locals, farmers, fishermen, and environmentalists seeking to strengthen and protect the environmental and economic well-being of Delta communities. They advocate for water flows into the Delta so that fisheries and farming can thrive together." "Open Ocean Productions is currently finishing a documentary on the story of the Delta told by Delta people who work with the Restore the Delta Campaign. While the perennial fight over water in California has produced plenty of information about the concerns of corporate agribusiness, the stories of the Delta fishing and farming communities have been largely ignored. CAKE looks forward to the completion of this documentary because it finally gives the people of the Delta a chance to tell their stories," the band concluded. The band consists of singer John McCrea, trumpeter Vince DiFiore, guitarist Xan McCurdy, bassist Gabe Nelson and drummer Paulo Baldi. Cake has been noted for McCrea's sarcastic lyrics and deadpan voice, DiFiore's trumpet parts, and their eclectic musical influences, including country music, Mariachi, rock, funk, Iranian folk music and hip-hop. "Restore the Delta is moving to spread the word about why everyone in California should be on board to protect the Delta for future generations," said Barbara Barrigan-Parrilla, Executive Director of Restore the Delta. "We are proud to announce that our local, national, and internationally acclaimed favorite band CAKE has joined the cause." Cake's endorsement comes less than two weeks after a historic fundraiser for Restore the Delta was held in Stockton on August 25. The Restore the Delta Benefit, an event hosted by Dino and Joan Cortopassi and Alex and Faye Spanos that over 600 people attended, raised over $640,000 for the organization to continue its advocacy work on behalf of Sacramento-San Joaquin Delta fisheries and communities. Cake's endorsement is greatly appreciated by Delta advocates at a time when the Obama and Brown administrations are fast-tracking plans to build a peripheral canal through the Bay Delta Conservation Plan (BDCP), initiated during the Schwarzenegger administration. A broad coalition of Delta residents, family farmers, recreational fishing groups, commercial fishing organizations, California Indian Tribes, grassroots environmentalists and environmental justice organizations is opposed to the canal because it would result in the extinction of Central Valley steelhead, Sacramento River chinook salmon, Delta smelt, longfin smelt, green sturgeon, Sacramento splittail and other imperiled fish species. The BDCP, in a classic case of corporate greenwashing, would remove vast tracts of Delta farmland, some of the most fertile and productive on the planet, under the guise of "habitat restoration" in order to deliver subsidized water to irrigate drainage-impaired, selenium-laced land on the west side of the San Joaquin Valley. The BDCP would take good land out of production to irrigate land that should have never been farmed, as well as export more water to southern California water agencies. Governor Jerry Brown and Natural Resources Secretary John Laird, rather than doing the right thing and reversing the enormous damage to California fish populations caused by record water exports out of the California Delta from 2003 to 2006, have authorized the export of record levels of water to agribusiness and southern California this year while "salvaging" 9 million Sacramento splittail and hundreds of thousands of striped bass, Central Valley chinook salmon, steelhead, threadfin shad and other species in the state and federal Delta pumping facilities. For more information, go to: http://overtroubledwaters.org/endorsements orhttp://www.restorethedelta.org. Cake was formed in 1991 by McCrea, DiFiore, Greg Brown, Frank French and Shon Meckfessel, who soon left and was replaced by Nelson. Following the self-release of its debut album, Motorcade of Generosity, the band was signed to Capricorn Records in 1995 and released its first single, "Rock 'n' Roll Lifestyle", which hit number 35 on the Modern Rock Tracks music chart and was featured on MTV's 120 Minutes. French and Nelson then left the band, and were replaced by Todd Roper and Victor Damiani. 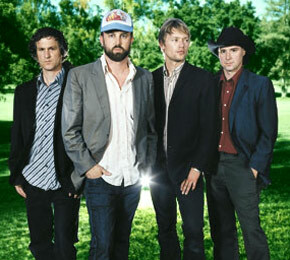 Cake's second album, Fashion Nugget, was released in 1996; on the strength of the lead single, "The Distance", it went platinum. Following a tour of Europe and the United States, both Brown and Damiani announced they were leaving Cake, which led to speculation about the band's future; McCrea eventually recruited Xan McCurdy to take over on guitar, and persuaded Nelson to return. Prolonging the Magic, the band's third album, was released in 1998 and went platinum, having shipped over one million units; this was followed three years later by Comfort Eagle, the band's first album on Columbia Records, featuring the single "Short Skirt/Long Jacket" which hit number 7 on the Modern Rock Tracks chart. Following a series of tours, including several versions of the Unlimited Sunshine Tour, the band released Pressure Chief in 2004, its second and last album on Columbia. After creating its own label, Upbeat Records, the band released Showroom of Compassion in 2011, which became its first album to debut at the top of the Billboard charts, selling 44,000 copies in the first week after release.